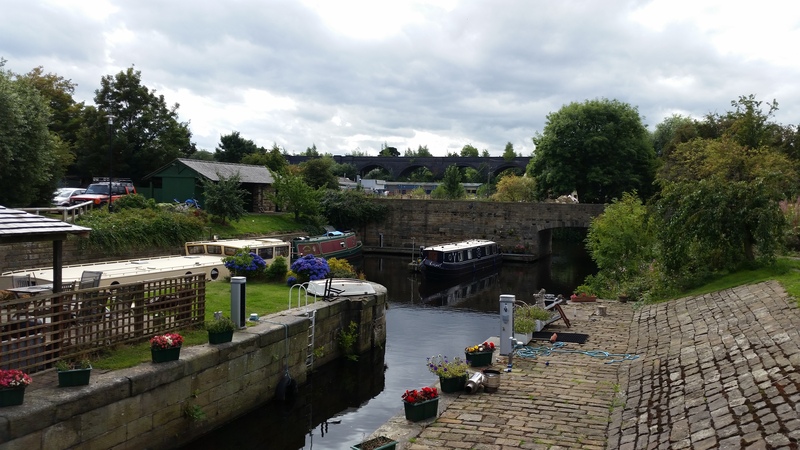 Horbury Basin is one of the Canal & River Trust's premium residential moorings located five miles south west of Wakefield in West Yorkshire. 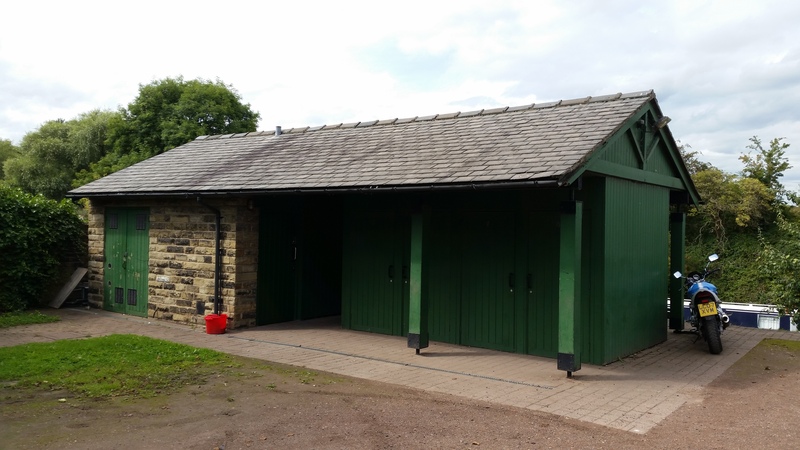 The site, on the Calder & Hebble Navigation, boasts full facilities including car parking, laundry room (residents provide their own facilities) and storage. 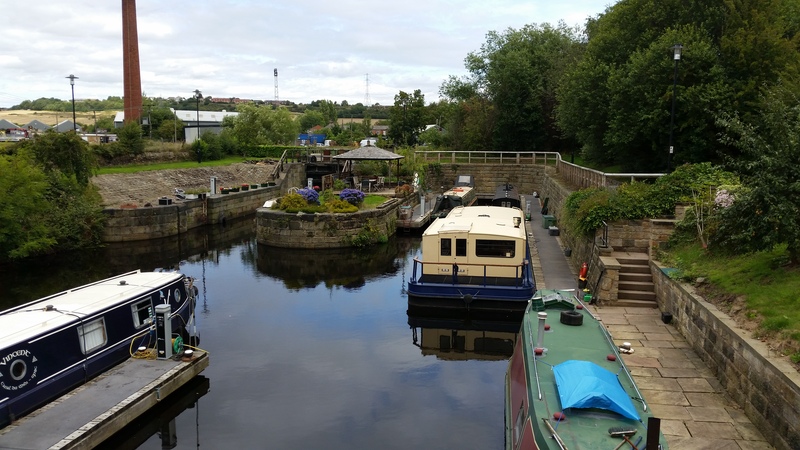 The site currently has space for up to 5 boats moored against pontoons and 1 to 2 boats moored in an old lock chamber. 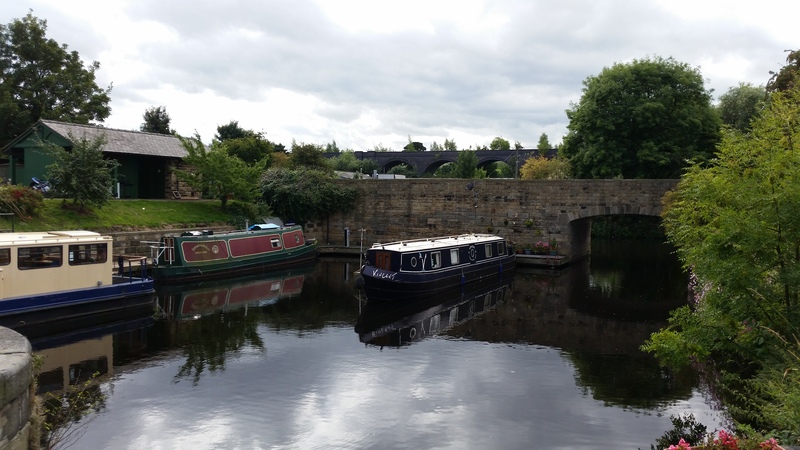 The mooring site is at Horbury Bridge, approximately five miles from Wakefield. Access to the site is from the main A642 Bridge Road. A tarmac access road is directly opposite the Bingley Arms pub. A tarmac access road runs between the river and the canal and leads into the site car park. Toilet, laundry room, post box, storage locker and electricity require site specific keys for use. Keys are available to residents only for a refundable deposit of £60. Deposits will be refunded when keys are returned with a valid receipt. Residents are responsible for all laundry appliances and take it in turns to replace them when needed. Electricity is supplied via smart meters. The installation of phone lines, Sky dishes, or similar, are acceptable on site and must be fitted by a competent engineer. Permission for such installations must be requested in writing and agreed by the Moorings Manager. The car park is accessible through a gated entrance at the bottom of the access road from the main carriageway. 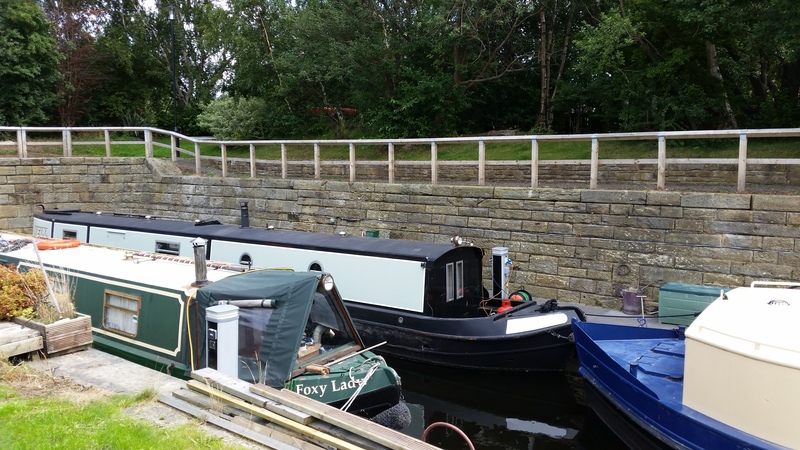 The mooring basin is accessed on foot from the car park by walking down several stone steps, these leading to a stone flagged area and fixed wooden pontoons fitted with anti-slip. A communal area, for all residents use, is on the island area in the middle of the mooring site. 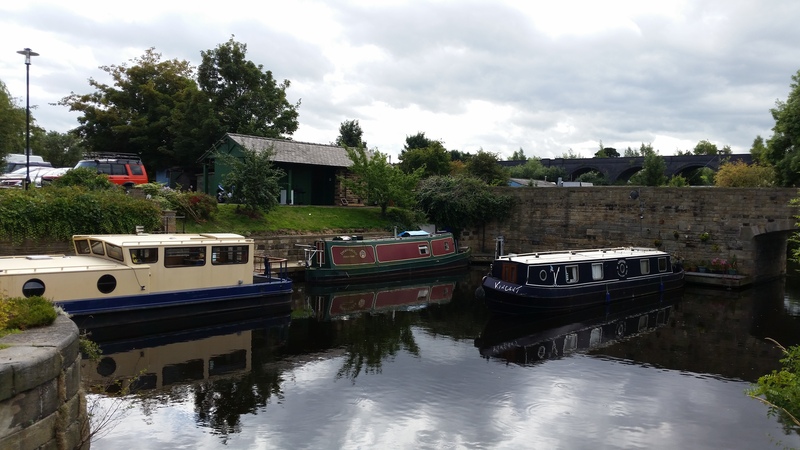 The communal area is accessible by foot from either the pontoons or from the raised land area surrounding the basin. IMPORTANT NOTE: Boat access to the site is through a bridged entrance only. This has a maximum air draft of 2.3 metres. Council tax is applicable at this site and is payable to the local authority. It is the responsibility of the berth holder to contact them about their residential status at the moorings from the date the berth is accepted. The bins provided are primarily for the use of passing boaters. Residents bins should be provided by the local authority. Although the moorings are accessible you should note that this site is a Residential one. 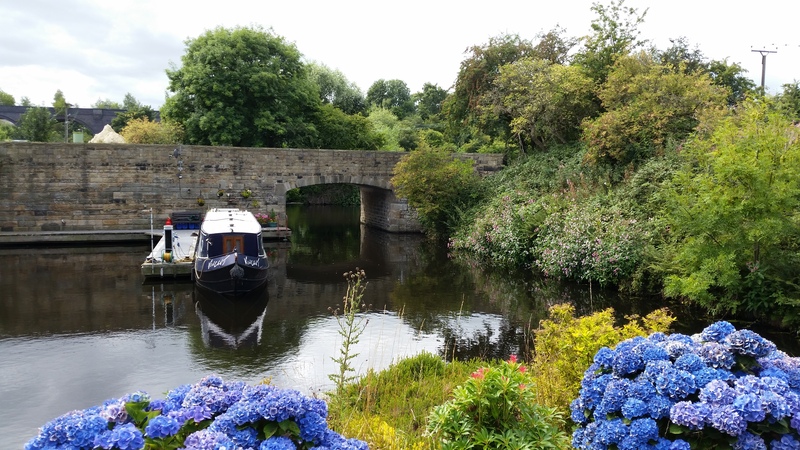 A good view of the moorings can be gained from the car parking area and from the bridged entrance. Please arrange a closer viewing with the Moorings Manager.